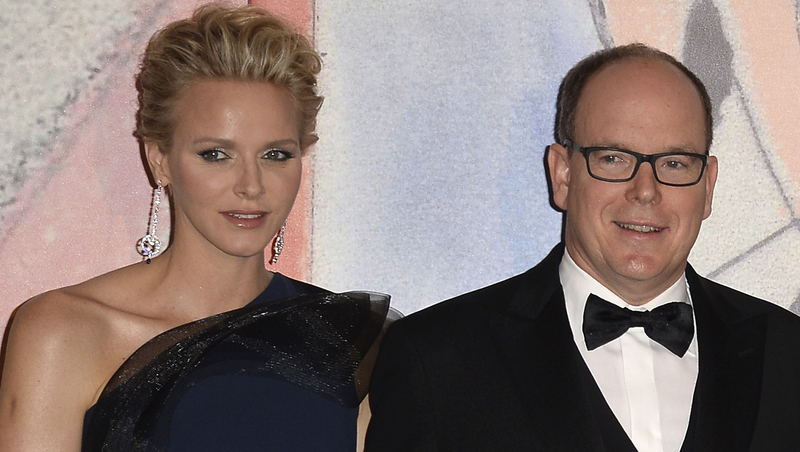 Prince Albert II and Princess Charlene of Monaco have announced they are expecting their first child, who will be heir to the tiny principality. The 36-year-old South African former Olympic swimmer and her 56-year-old husband, whom she married in 2011, issued a statement Friday expressing their "immense joy." The short statement said the birth is expected before the end of the year. Although it did not elaborate, this implies that the princess is at least three months pregnant. The news is sure to please the palace and end recent tabloid speculation that's dogged Charlene -- why, after nearly three years of marriage to Albert, she had not yet provided an heir to the jet-set European principality. Britain's Kate, Duchess of Cambrdige, became pregnant with Prince George around a year and a half after she married Prince William in April 2011. Until the baby is born, the throne of Monaco, a tiny fiefdom smaller than New York's Central Park, would pass to Princess Caroline, Albert's older sister. The constitution had been changed to allow Caroline a claim during Prince Albert's tenure because subjects were nervous he wouldn't produce an heir -- after years of high-profile rendez-vous with the beautiful and famous, said to include Brooke Shields, Claudia Schiffer and Naomi Campbell. Albert has already acknowledged two children from previous relationships, born out of wedlock and thus excluded from the succession: his daughter Jazmin Grace Grimaldi, 22, and his son Alexandre Coste, 10. Albert's years of stepping out added fuel to the tabloid rumors, which hardly died down once he settled upon the former Charlene Wittstock. In a 2010 interview, he acknowledged that part of the role of the royal family was to be in the public eye. This baby news is sure to consolidate the couple's place in the public eye -- in ways they would want -- and is likely to set off a frenzy in the fashion press as to how she will dress her bump. Demure Princess Charlene is known for her elegant fashion style, patronizing designers such as Giorgio Armani, who designed her couture wedding dress. Since her marriage, Charlene is styled as Her Serene Highness The Princess of Monaco. The previous holder of the style was her husband's mother, Grace Kelly, who died in 1982.